2005-2019 Dodge and Chrysler 5.7/6.1L Gen III Hemi Nitrous Plate Only Kit. Includes 80mm wet design plate, mounting hardware, and jets. 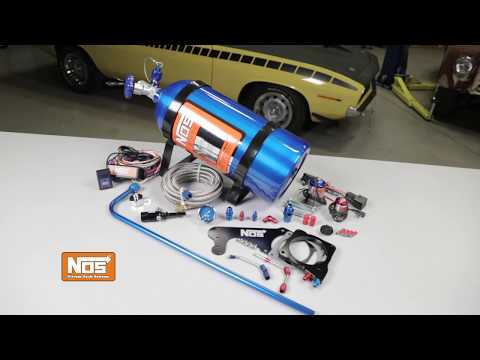 The NOS "Plate Only" kit allows our customers to build a custom nitrous system for their 5.7L and 6.1L Gen III Hemi powered muscle car, with the standard 80mm throttle body. 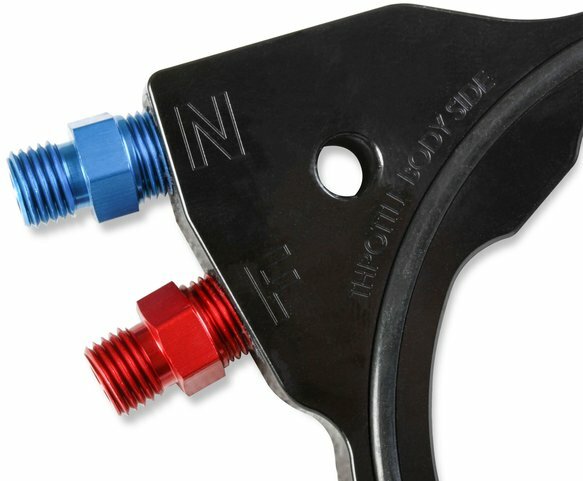 This slim design is only 1/2" thick at the throttle body mounting flange. 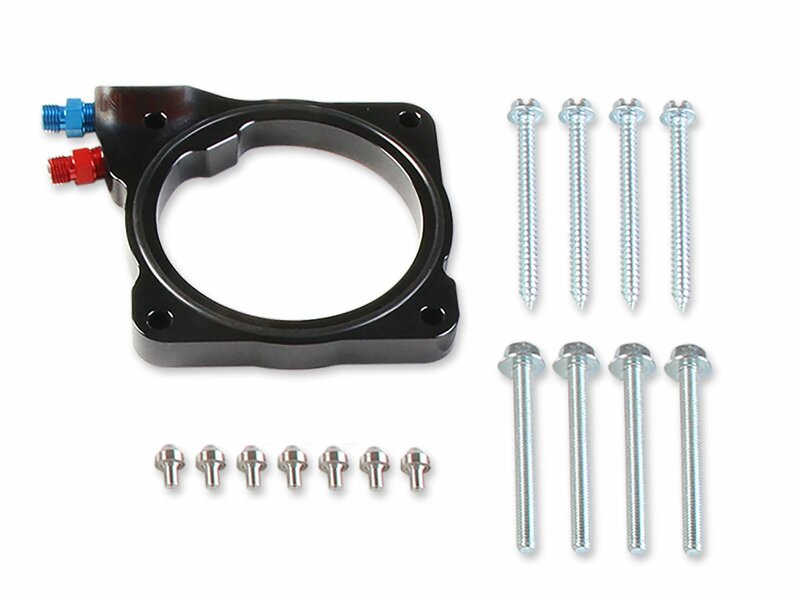 This allows maximum room forward of the throttle body to clear accessory drives, tensioner brackets or other obstacles that may interfere with a more forward mounted throttle body.